Another commercial done in collaboration with Black Mountain and another cg fluid job to add to the list. Black Mountain asked Celluloid to take on the simulation task of an exploding almond as well as simulating the almond milk bursting out of it. 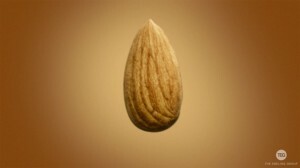 On a little “behind-the-scenes” note, the production company was unsure about using rendered almonds for the commercial as apposed to real ones. 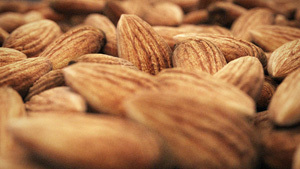 So as a pitch for doing it cg we rendered a macro size image of a pile almonds to convince them it was possible.